So you have the outdoor space and you're ready to turn it into an exterior haven of natural beauty but where do you start? Today at homify, we are going to find out! Because the truth is, if you are lucky enough to have an outdoor space you need to utilise it! With urbanisation and high property prices, it's quite rare that we have a lot of extra space to work with. If you have a garden, you need to make it beautiful and functional all at the same time. This is why we have put together 10 tips for beginner gardeners. Each one of these ideas will help you create a unique, exterior space that is refreshing and comfortable. Before you even start gardening, you need to have a plan. 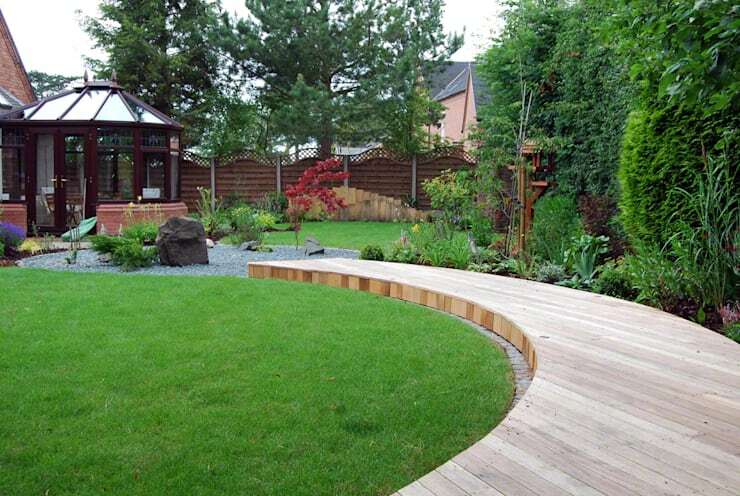 Consider how much space you have available as well as what style or design you are looking for your garden. In this space, for example, we can see how there is quite enough space to work with. This allowed for the designers to work with paving stones as well as a variety of plants and trees. Landscapers Gorgeous Gardeners have also added added some rustic, chunky pots and pillars to the space for some character and charm. Apart from plants, flowers and trees, you may also want to consider what furniture or other features you want to include in your garden. Whether you opt for a terrace or some furniture, wood is always a great option. It's durable and suits any style of garden. 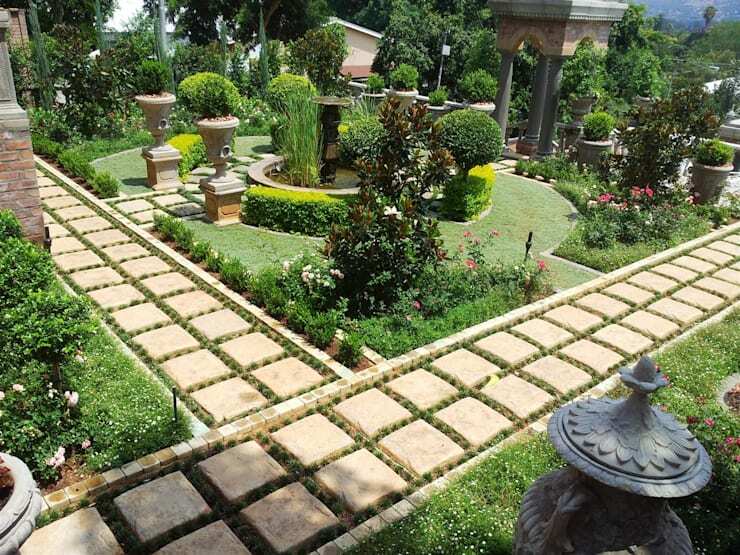 Remember that you don't have to have a lot of space to create a gorgeous garden space. As we can see in this image, the front garden is small but packs a punch! Use your garden as an opportunity to introduce some personality, colour and energy to the look and feel of your home. 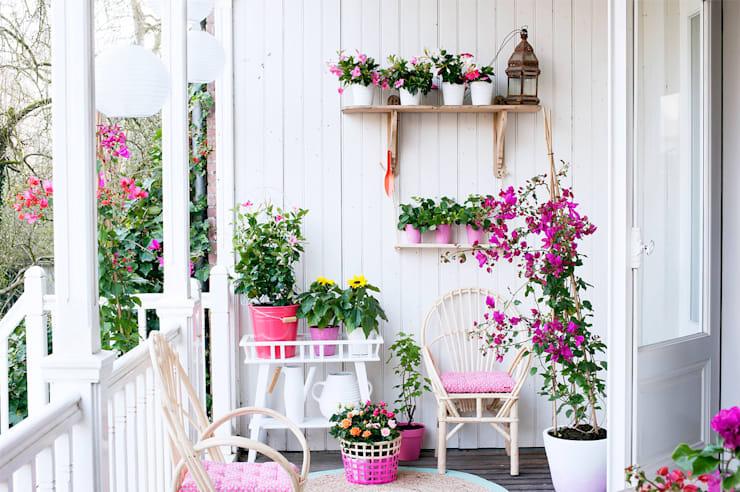 Opt for colourful flowers, patterned pots and tropical plants. Just make sure that the colours and plant or flower varieties that you opt for work in harmony with one another. 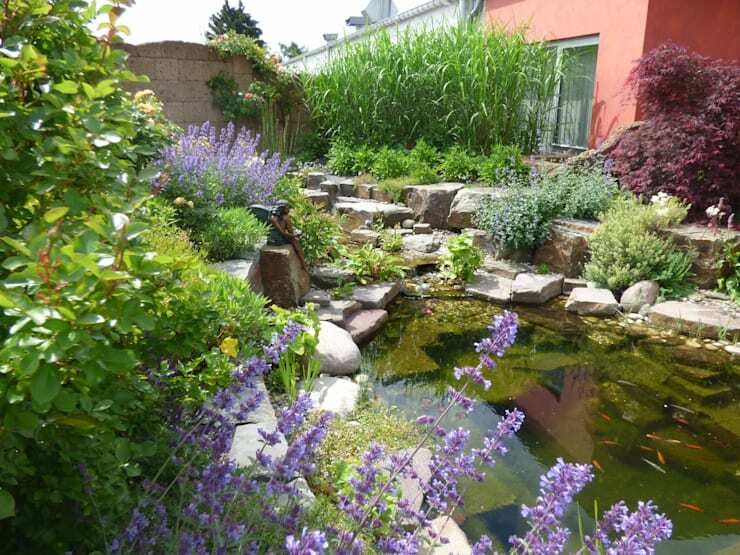 Water can create a soothing and tranquil effect in your garden. There are also so many options available! 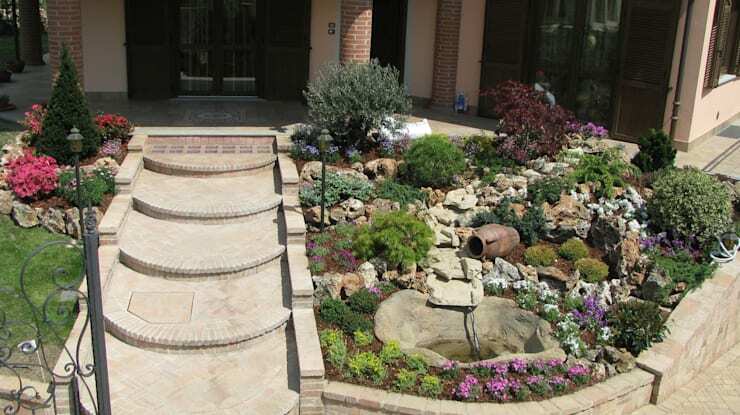 Opt for a pond, waterfall or fountain. Have a look at these 13 fountains and water features to make your patio look more modern for inspiration. 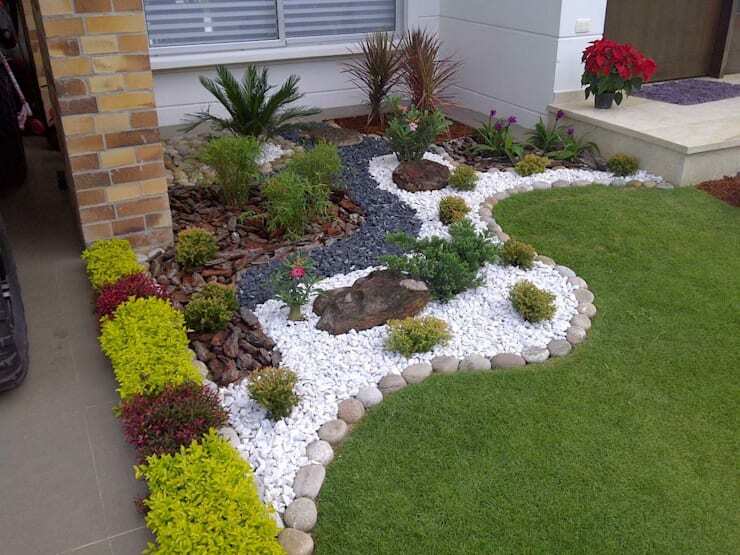 In this garden, we can see how white and grey stones have been used to create a stunning garden bed that is complemented by the greenery of the grass. Do you see how different patterns have been created, where the tones and textures contrast beautifully? A stone wall adds a rustic touch to the garden and introduces that contrast of textures and tones! Stone walls are also easy to install and suit just about any style of garden. Use a stone wall to create a raised garden bed like these designers have done. If you don't have space for a garden bed or a grass area, opt for as many pot plants and flowers as possible, like we see here. These designers have created a colourful and vibrant patio area thanks to the variety of fauna and flora they've included on shelves and tables throughout. Couldn't you imagine relaxing out here with a good book? In this little garden, we can see how despite the steep landscape, a beautiful environment has been created. Trees, shrubs and rocks have been installed throughout as well as a little water feature. The garden runs parallel to the stone staircase, allowing for a beautiful view every time you walk up and down the stairs! This little square garden adds a burst of colour and refreshing beauty to the exterior space without taking up too much room. 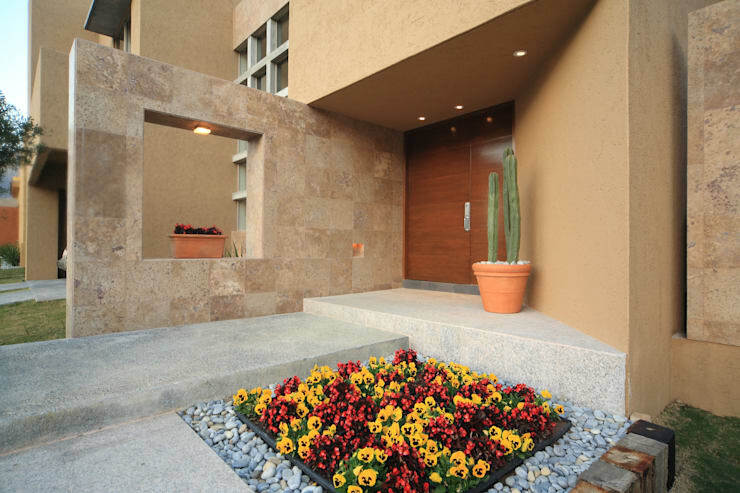 Don't you love how the cactus next to the front door adds a little burst of personality to the environment? 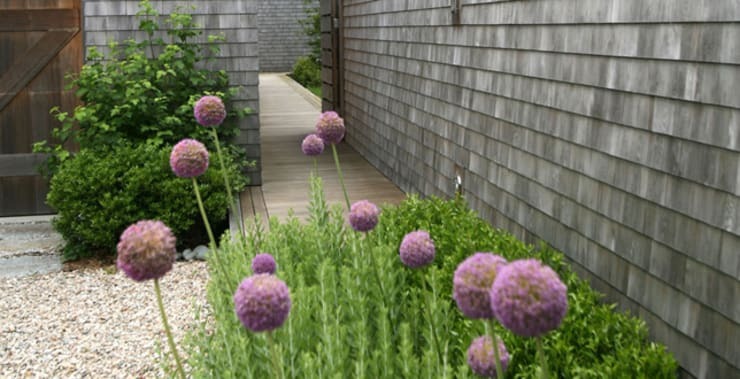 Also have a look at these on how to create a beautiful garden in a small space.